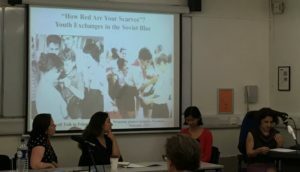 At the end of May, Birkbeck hosted the ‘Languages of Internationalism’ conference, the last major event of the Reluctant Internationalists project. 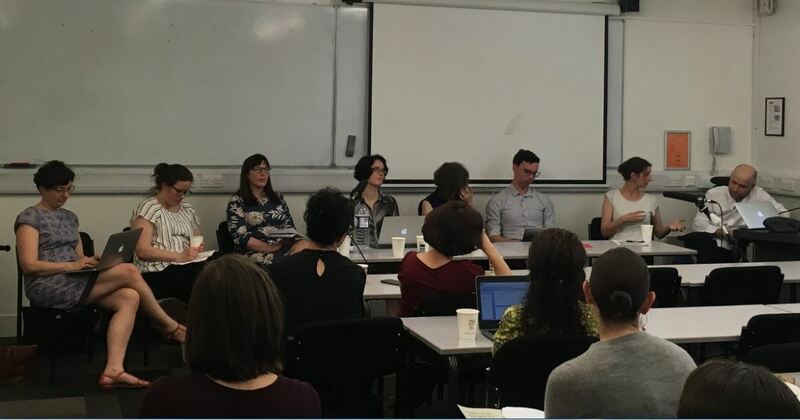 Co-organised with our former Visiting Fellow Brigid O’Keeffe (Brooklyn College, CUNY), the conference aimed to shed light on the centrality of language to people’s pursuit and experiences of internationalism. The full programme from the conference can be viewed here, and all of the papers are available to listen to as podcasts via SoundCloud or through the central Birkbeck College iTunes channel. Language is at the heart of every international enterprise, but as the conference showed, it presents obstacles and dilemmas, as well as opportunities. Many of the papers emphasised frictions and tensions which emerged over the use of languages in international settings. 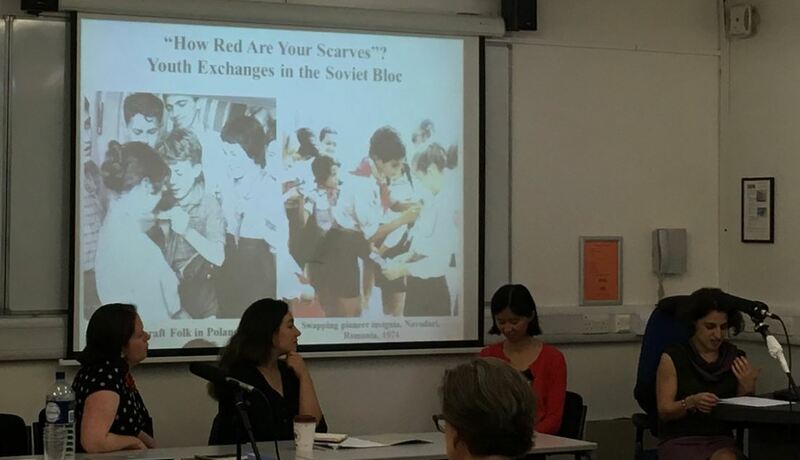 In socialist youth camps during the Cold War, for example, Eastern European delegates displayed resentment towards Soviet translators and Russian speakers as symbols of Soviet cultural imperialism (Diana Georgescu, UCL). In international Jewish congresses during the nineteenth and early twentieth-centuries, fierce debates broke out over the role of German, Yiddish and Hebrew as languages of transnational Jewish communication (Marc Volovici, Princeton). Many of these tensions stemmed from attempts to deploy language as tools of national or imperial dominance. As other speakers argued, ideologies could act as languages through which adherence could build transnational solidarities. The language of socialism was explored by a number of speakers. 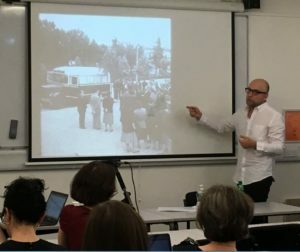 Although Russian was promoted as the common language of the socialist world by the Soviet Union, particularly in Cold War Eastern Europe, socialists from different parts of the world could also find ways of communicating through the language of socialist solidarity without using Russian (Elidor Mëhilli, Hunter College, CUNY). The language of feminism also served to build ties between women from very different cultures and backgrounds, although language difficulties were one of the factors hindering understanding at international events such as the 1975 International Women’s Year conference in Mexico (Jocelyn Olcott, Duke). The problems of translation and miscommunication have driven many attempts to construct new international forms of communication, most famously in the case of international languages such as Esperanto. The growth of international organisations over the course of the twentieth-century, as well as the expansion of global communication technologies such as the telegraph, encouraged the use of statistics as a tool of international communication, particularly in technical fields such as health (Heidi Tworek, British Columbia). In the cultural field, writers and publishers saw the ‘language of action’ and simplified writing styles of children’s books such as the Curious George series as a medium which could be easily translated across borders, although cultural, political and national differences still continued to pose problems (Yuliya Komska, Dartmouth College). The conference showed how language could be a tool of communication, solidarity and unity, as well as a force of division and alienation. But it also made clear the centrality of language in the performance, experience, and pursuit of internationalism.